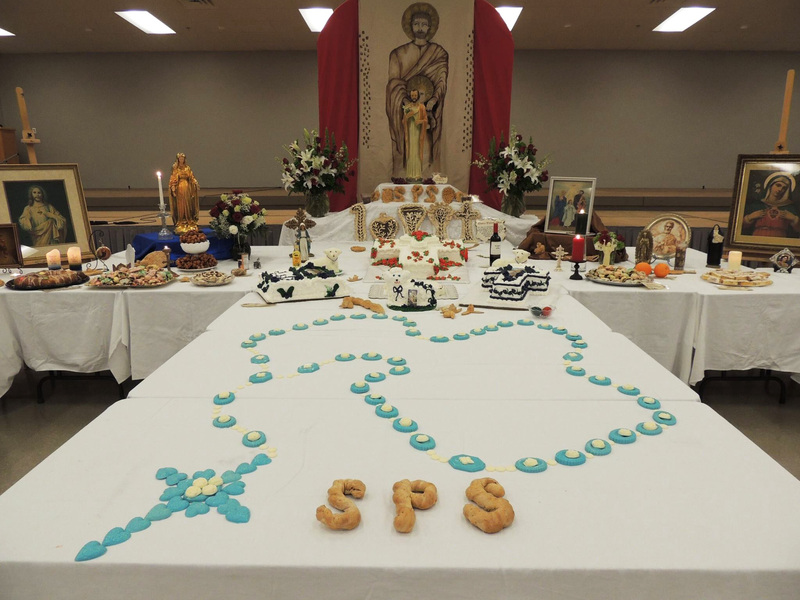 On March 10, St. Paul’s School celebrated its annual St. Joseph Altar. The tradition was brought to SPS by Dr. Ann Kay Logarbo, “vintage mom” and wife of SPS teacher Brian Logarbo, who continues to spearhead the annual project with the help of the SPS Mothers Club. 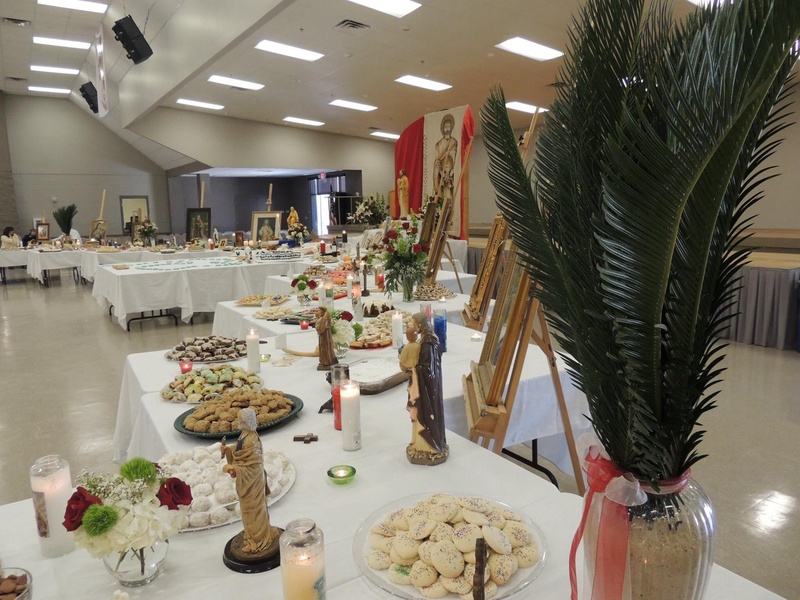 The altar contained various meatless treats for students to munch on at lunch including breads, cookies, salad, pasta, and catfish served by the Mothers Club. On that day, the school held a special seven-block schedule, as opposed to SPS’s traditional four-block schedule. The reason for the schedule change is so that each religion class gets a chance to go to the Briggs Assembly Center to meet Dr. Logarbo to learn about the traditions of the St. Joseph Altar and to enjoy some snacks served by volunteers from the Mothers Club. The altar itself, consists or a series of decorated tables that span along the end of the stage of the Briggs Assembly Center. The tables are full of cookies and other treats for students to enjoy. “The alter looked beautiful as always. My favorite thing about the altar is how delicious the food is,” said junior Chris Rogers.